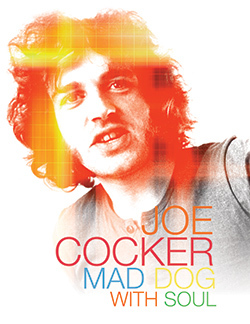 From his star turn at Woodstock to his battles with addiction, this film chronicles the stormy life and unique talent of soulful singer Joe Cocker. Contributors include musicians Randy Newman, Billy Joel, Rita Coolidge, Jimmy Webb, Chris Stainton, Cliff Goodwin, Deric Dyer, former manager Michael Lang, producer Glyn Johns, friend and personal manager Ray Neapolitan. Joe’s brother Vic and wife Pam share poignant memories too. Out in the UK on Sky Arts. Germany/France: Arte TV . 55 min version.